Ideal Industries dips its pockets into many types of work, from electrical jobs to cable installation, and they’re always aiming for safety and quality. 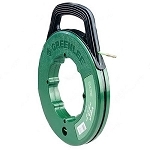 This Tuff-Grip S-Class Fiberglass Fish Tape is a great example of this, with its non-conductive design for use around live circuits, and a durable core for longer life and greater strength. So strong, Ideal S-class fiberglass feed tape can pull a whopping 500lbs at once. During cable installation, the Tuff-grip fish tape moves easily due to a smooth, nylon jacket for greater handling around bends. Able to be pulled in all directions, not only do you have complete control over Ideal Tuff-Grip S-Class Fiberglass Fish Tape, but it is incredibly versatile for all sorts of jobs. 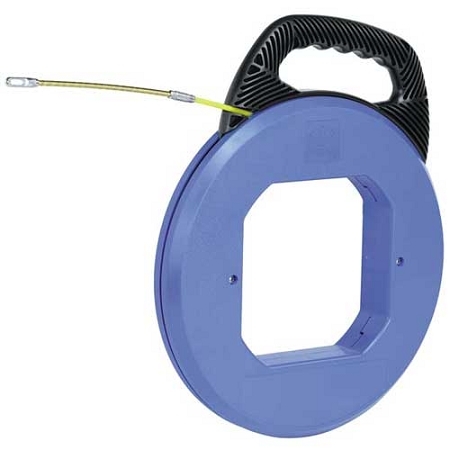 The entire length of pulling tape, up to 100ft, winds up into a stable, impact-resistant winding case. 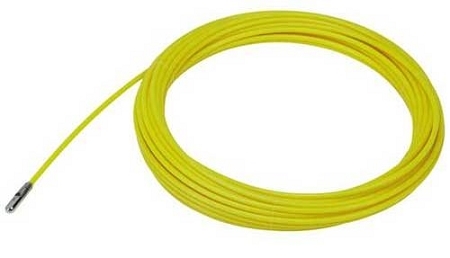 Replacement Ideal cable tape is available below, just in case. For additional information about the product, please click the "Specifications" tab.